The Sound Mix at The DRIFT‘s H30/002 festival was performed by Luke Hottinger. Sound at The Drift’s H30/002 festival incorporated various performances from musicians and video projection pieces which where then mixed and sent to the main PA, as well as wireless speakers spread around the festival to provide a spatialized audio atmosphere. 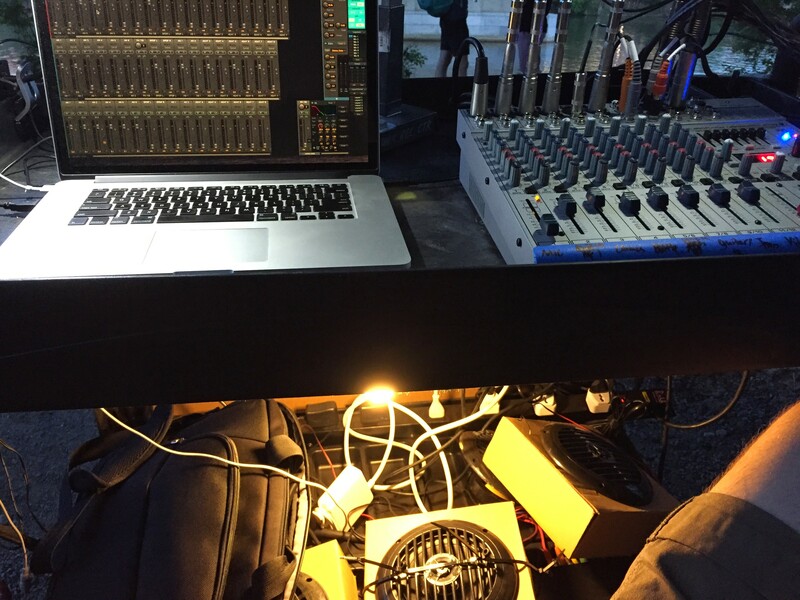 The sound HQ cart contained the three audio transmitters responsible for sending the audio to the three wireless speaker arrays around the festival. Sound from all of the inputs was sent to the main mixer and mixed down to stereo outputs which were sent to the main PA as well as the spatialized audio interface. The audio interface controlled audio levels and pans sent to each of the wireless setups. The cart also contained a LiPo battery charger for quick recharge in the event a battery became low on charge. The wireless speaker setups included one audio receiver and a battery. The battery would power the audio receiver, which was sent a mono channel of audio from the transmitter on the Sound HQ cart. 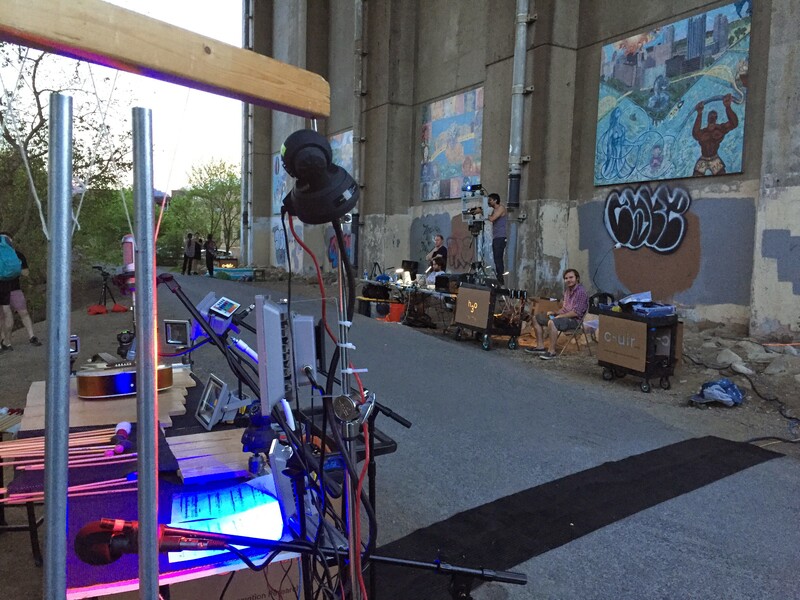 The sound was then outputted from the receiver to a mobile PA on various other carts around the H30 Event.